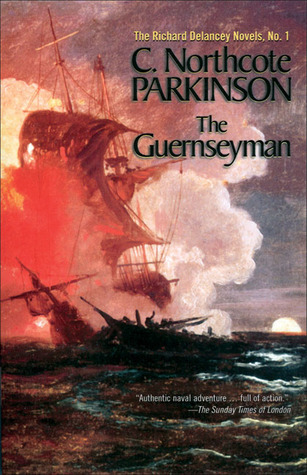 Rises from the sea of Napoleonic war British naval fiction. 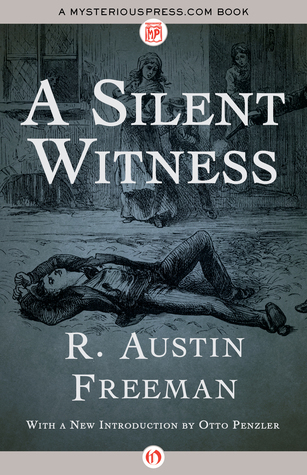 The protagonist is at once more human and more likable than the likes of Horatio Hornblower or even Jack Aubrey. The writing focuses more on his inner life as well. Parkinson’s skillful plotting places his hero at the scene of numerous real historical events. Of particular note to American readers of this volume may be Parkinson’s examination of how the American Revolution looked from the British and Loyalist points of view, and how their side was troubled with almost insurmountable command and logistics issues. The author’s name should sound familiar. Parkinson is the author of the famous Parkinson’s Law that work expands to fill the time allotted to it. Bought a 4 Terabyte external hard drive to back up everything before upgrading our computer to Windows 10. Of course, when I installed its software, it locked up my computer. Several iterations of installing and restarting and a call to the company didn’t suffice, so the tech support lady “scheduled” a Level Two (Oooo) technician to fix my installation. When I checked later, it had backed up everything, I think/hope. (Don’t ask.) Since Windows 8.1 does not do “image” backups anymore (Thank you, Microsoft, for dumbing down your software. ), I went to the DOS prompt to instruct it. Now I’m ready to upgrade to Windows 10. Wait? Didn’t I just say … Yeah, what’s your point? You want I should go to Apple? If Microsoft is run by cold-hearted zombies, Apple is a bunch of quasi-religious fanatics. There is Linux, but not for people like me. 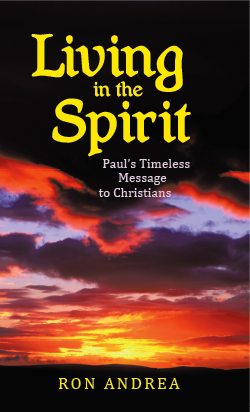 Living in the Spirit has not been available since CrossBooks closed in April. 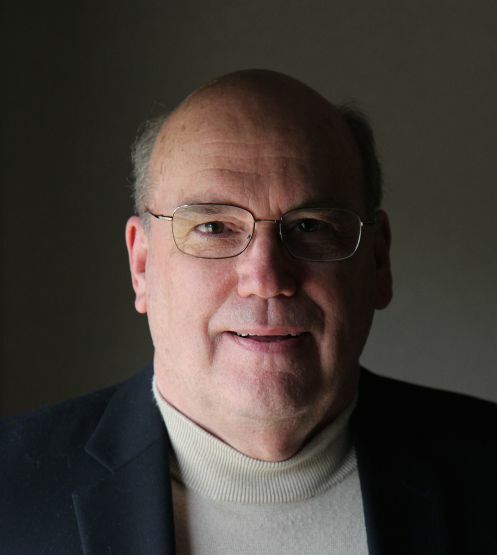 WestBow Press, an imprint of Thomas Nelson & Zondervan, will be my new publisher. When the book is republished it will have over seventy changes. Many corrected typos, but some involved adding or deleting whole paragraphs. I sent the last text changes to Gateway Press this week. The cover “polish” is complete. Hopefully, a better, more readable book will appear this fall. During the late 1970s I lead Air Force operational testing of then-new F-15 fighter avionics. Frequently the representatives of MacDonnell-Douglas, the aircraft manufacturer, and Hughes Aircraft Company, designer of the radar system, responded to discovered flaws with “We can fix that with software.” Sometimes they could; sometimes they couldn’t. Often the next round of testing revealed the “fix” introduced new problems. Posted in Mutterings, Ron Andrea	| Tagged intrusive software everywhere, No assurance of privacy, no security, who will guard us from the guardians? Without making spoilers, I can’t discuss the last half of the book at all. The big climax is well foreshadowed but a total surprise. Seriously, how do you sneak someone into space? I know, the whole world knew Chapman was taken up drugged and why, but seriously. 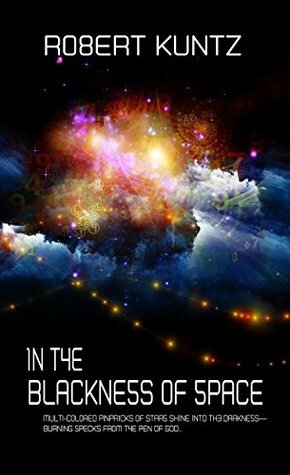 Blackness is not only good science fiction, it’s a good exploration of a person’s inner struggles and his eventual coming to faith. Some readers will disagree with the form of that inner journey, but it’s integral to the plot. Well told. Before I read it, I thought the title obvious, even trite, but in fact it too is integral to the story. As I read Blackness I toyed with ratings of three or four stars. The climax garnered its fifth star, but I can tell you no more without spoiling the fun. The Autumn Equinox is Here! Wait, What’s the Autumn Equinox? The leaves are already changing here. I’m a Libra so this is naturally my favorite day of the year. I feel so balanced today. As much a period piece as a mystery, this novel was published in 1914 and set in a London nearer the turn of the century. The mores and habits of the characters will engage modern readers as much as the story. Thorndyke parallels his more famous contemporary Sherlock Holmes in solving the supposedly unsolvable mystery, in this case extracting valuable clues by the scientific analysis of a cremated body. His reliance on science, often medical, as opposed to intuition and observation distinguishes Thorndyke from Holmes. Their stories parallel in many characteristic. Both are surrounded by bumbling fools, to highlight their genius. The stories are told from the point of view of one such fool, never that of the principal, heightening the wonder of discovery. The story opens with an apparent paradox or unsolvable crime (often not recognized by the authorities as a crime or they hie after the obvious, but wrong suspect. Just like modern crime scene investigation series, the speed of tests and communications is absurd. We may have smart phones, but 1900 London had telegraph, runners and multiple mail deliveries each day. And so it is here. Additionally, said narrating fool is so careless of his own safety as to be borderline suicidal and an additional victim. It’s an engaging tale but not everyone’s cup of tea. Interesting story with a good sense of place, marred by amateurish storytelling and many anachronisms. Think of it as historical fantasy. 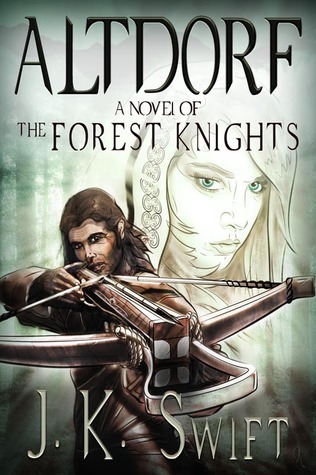 Set in medieval Switzerland Altdorf proposes to tell the—or a—story behind the legend of William Tell. So far as it goes, the story itself is plausible. Apparently meant to be historical fiction, it’s more historical fantasy. While bashing Christianity and praising all other religions is de rigueur for modern novels, this version of druidism exists only in epic fantasy. The reader finds himself in “a galaxy far, far away” as the Weave so resembles the Force. Everything is slightly over the top. The hero is stalwart, the heroine a mystic who feels a saddening in the Weave (“There’s a great disturbance in the Force.”), the buddy is a seven-foot gentle giant, the villains are doubly evil because they are Christians. Another buddy manages an impossible crossbow shot: 300 yards through the neck of a man sitting on a sailboat underway, and the bolt retains enough power to pass entirely through the neck (horizontally). The hero’s “conversion” is unconvincing, though he has reason enough to abandon his allegiances. The storytelling suffers from many verbal anachronisms. References to adrenaline, penicillin, catalysts and connections are either improbable or simply jar the reader out of the spell of the story. (If you slap moldy bread on a wound, you’re more likely to kill than save the patient.) Many readers will skip over the modernisms; students of history will shudder. Awkward punctuation throughout. A good editing would save the reader much confusion. “Why so negative brother?” can mean several things. Yes, modern writer eschew commas. but they serve a purpose. If the reader must stop to figure it out, you’ve betrayed him or her. The cover art must have been drawn by a friend of the author. Why else hobble your book with such a poor image? Good ending. Draws together the threads of this story while drawing the reader into the sequel. Lewis seems to have forecast the reception correctly, too. A small early birthday gift to myself on the 78th anniversary of this review, originally published in the Times Literary Supplement (2 October 1937), 714. 366 excerpts from the works of L’Engle arranged as daily readings by editor Chase. L’Engle was of a previous generation (1918 to 2007) and her works reflect it. Very much hung up on the issues and trends of mid-twentieth century, her ideas have a quaint aspect which is not immediately obvious to the reader. Not that many of her thoughts aren’t profound, but they reflect a Cold war environment that current readers will have trouble understanding. She, and we, thought nuclear holocaust was a real possibility. Her reflections on nature and man’s place in it are still relevant. L’Engle was a well-known Christian fiction writer. 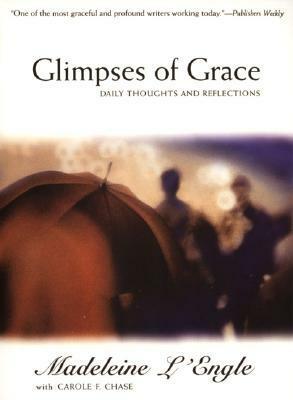 These “reflections” could well be used a daily devotions. Worthwhile.